Location and Transport Located in the ancient heart of London next to the Tower of London, Tower Bridge, and the affluent area around St. Katherine's Dock, the Thistle Tower Hotel is also well-known as a popular conference venue because of its location near the financial area of the City. The European commuter airport, London City, is just 6.2 miles away. Car parking and a water taxi to nearby Canary Wharf for easy access to the financial district are available, both at an additional charge. 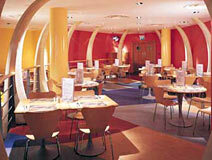 Close to Thistle Tower is also ExCel, Docklands, a prime location for exhibitions and events. Description Situated on the banks of the River Thames, next to the Tower of London and Tower Bridge and very close to the financial district, The Tower Hotel London is a modern 4 star hotel offers 801 well-equipped bedrooms, apartments and suites, all with superb views. All rooms are modern, comfortable and furnished with excellent facilities and many command brilliant views over the Thames. Room facilities include air conditioning, satellite television, in-house movies, radio, direct dial phone, mini bar, hairdryer, trouser press and automatic wake-up call. Dining facilities include a traditional English carvery serving roasts and specialities of the day, a vibrant nautically themed cafe, and three separate bars and lounges which should easily cater for the whim of any guest, whether it be a fine single malt or an exotic cocktail. 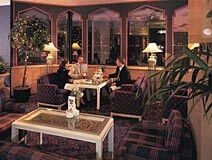 The Tower also offers 19 air-conditioned meeting rooms, a well equipped fitness Centre and hotel gift shop. The jewel in the crown is the famed 'Tower Suite' that can be subdivided into 3 individual meeting rooms totaling over 800 square meters. 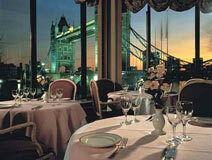 Our Comments This 4 star modern hotel is amongst London's most versatile and popular hotels. 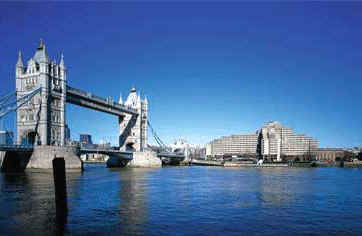 Situated on the banks of the River Thames it is ideally located for both the City and West End and close to Docklands. 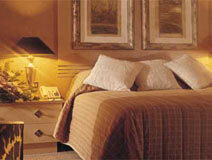 The rooms are well appointed and the Conference suites are excellent with outstanding perspectives. Highly recommended!